Welcome to Exit Strategy Games, the highest-rated escape room in Elk Grove and the Sacramento area. What sets our rooms apart is the amount of detail that goes into each experience. Whether you’re fighting the clock in the torture chamber of a notorious serial killer or finding the truth in a case of global espionage, don’t take anything for granted. Each room has puzzles, locks, hints and clues hidden throughout. There’s no such thing as coincidence, and even the most mundane item could contain the clue that helps you and your team escape in the nick of time. The best part is, you won’t be solving these puzzles with a group of strangers. We are the only private escape rooms in the Sacramento County. The concept is simple — a team, a time limit, and a locked room. But from there it gets infinitely more exciting, suspenseful and complicated. Escape rooms aren’t your average group activity. After all, it’s not every day you track down spies or escape homicidal maniacs. Exit Strategy Games is 100% private. That means you only play with those you bring with you. So, choose your team wisely. It could be your friends, your co-workers or some dude named Bob you just met ten minutes ago on the street. This one’s pretty obvious. Before you can dive into another world of thrills and chills, you need to book one of our private escape rooms at Exit Strategy Games. It’s simple. Click on our Book Now tab, then scroll down to check out availabilities. Pick the date and time you and your team want to come, then reserve your very own room. We recommend that you come about 15 minutes before your allotted time. This allows us to give you some pointers about what you’ll be expecting. Each room has a mission you and your team must complete, whether it’s escaping some deranged psychopath in the Torture Chamber or flushing out Soviet spies in the Conspiracy Theory. Plus, arriving early allows you and your team to get in the zone. Once you know your mission, we lock the doors — Bwahaha! After that, it’s up to you and your team. But hurry up! You only have 60 minutes. Working with your teammates, you’ll find tons of clues, puzzles, and mysteries to solve. Teamwork is essential to your survival. We also demand mandatory fun and laughter. Step 6: Get Outta There! Once you’ve solved all the clues and figured out your exit strategy, then it’s time to skedaddle. You’ve done it! It’s time to celebrate. Remember, though, that whether your teams wins or loses, you’ll make some amazing memories. 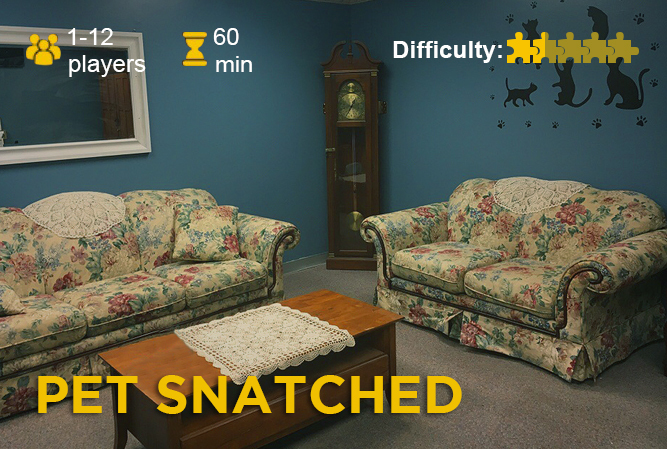 Escape rooms are an interactive real-life game experience that puts you in the thick of it. There’s no point-and-click here. You are the star of your very own adventure. The basic premise involves a locked door, tons of clues and puzzles — and only 60 minutes to make your way out. Working with your team, you need to decipher codes and find hidden messages before the timer hits zero. 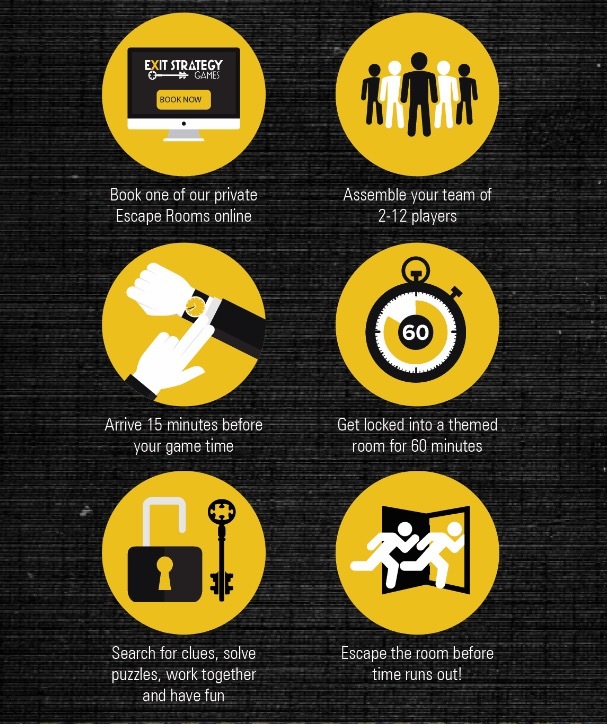 With the world inundated with smartphones, video games and social media, escape rooms offer, well, an escape! Leave the humdrum of the every day and set out for an experience like no other. They’re challenging, as each scenario involves problem-solving, yet they’re incredibly fun. Themes vary among escape rooms, but how do serial killers and 1970’s spies sound to you? There can be creepy or thrilling elements and intense excitement, but escape rooms are not necessarily designed to be scary. Although, depending on the theme, they may be a little too much for smaller tykes. 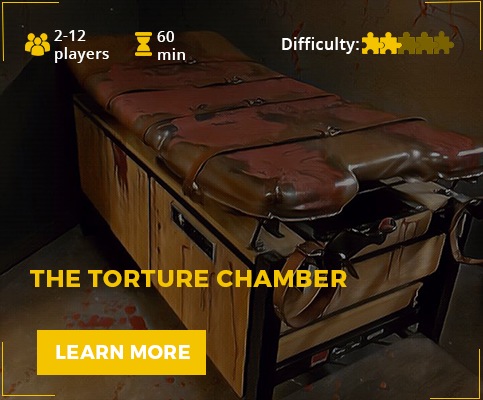 Our first escape room is called The Torture Chamber. You’ve been thrown into the dungeon torture chamber basement of a notorious serial killer called the American River Killer, or ARK killer for short. Fortunately, a former victim has hidden clues throughout the room to help you escape. Find them and get out in just 60 minutes, before the ARK killer returns to finish the job. Click here to book your Torture Chamber Escape Room Experience! 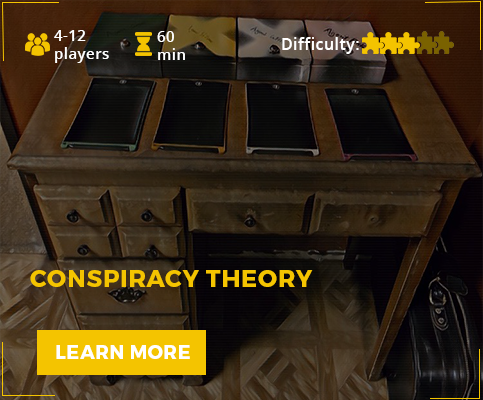 We also have the popular Conspiracy Theory escape room — a “game within a game.” You and your group wake up without any idea who you are, just knowing that it’s the 1970’s. It turns out that you are a group of CIA agents, and a famed conspiracy theorist has trapped you in his apartment with a bomb set to detonate in 60 minutes. Using a video recording, he informs you that some among you are actually secret Soviet spies. Escape the room and figure out who you can and cannot trust before your the time runs out. Click here to Book Your Conspiracy Theory Escape Room Now!